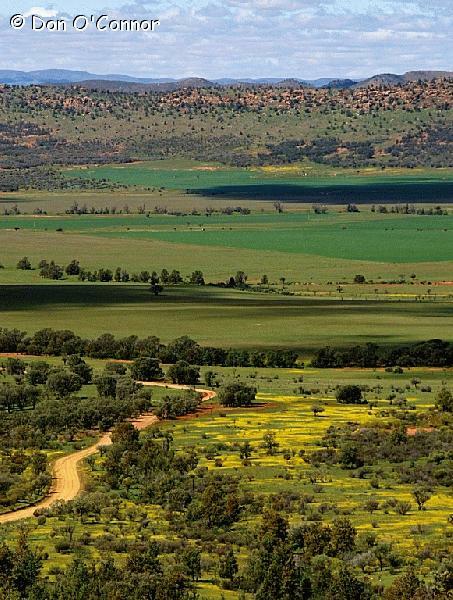 Farmland and the distant Flinders Ranges, South Australia. Taken from the walk above Jarvis Hill Lookout near Hawker. The yellow is a type of small button flower.